Okay guys, you know the drill. 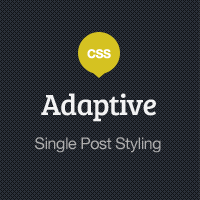 Let’s start writing some LESS styles for our single post layout. In these two screencasts we’ll look at general styling, blockquotes, images and buttons.